NFC's Preschool is a place where children are loved and where children love to be. Not only do we strive to provide our children with a sound beginning ffor future learning, we also desire that each child in the preschool feels loved and accepted and develops a strong sense of self-confidence along with a love for learning, and an eagerness to discover new things. Each child is unique, with unique talents and interests, and we seek to help each one experience success in learning. Our caring Christian teachers plan age-appropriate activities designed to introduce our preschoolers to the wonders of learning, helping them grow spiritually, intellectually, physically, emotionally, and socially. Through participation in class activities, chapel programs, and field trips our preschoolers learn about their responsibility to God, their family, their school, and their community. Our daily Bible lessons teach scriptural principles that children can apply to their own young lives. They learn that God loves them and that He cares for each of them. Daily learning activities include phonics, reading readiness, beginning math concepts, science, social studies, art, music, and computers. Weekly and monthly theme units are planned for 'hands-on' fun. Organized PE, planned activity time in the classroom, and daily recess on the playground provide many opportunities for play and physical development. Whether learning the alphabet, making handprints for an art lesson, or running on the playground, our students soon discover that learning is fun at NFCS! The 3K program at NFCS has been designed to provide a delightful learning experience for our littlest students. Parents have the choice of either the half-day program which concludes at 11:15 or the full day program at 3:30. Special After School Care allows for moms and dads who need that extra care. Through learning and play activities we endeavor to meet our students spiritual, educational, and social and emotional needs. Play is an important part of our program. There are opportunities for independent play as well as group play activities, and a portion of every day is spent outside (weather permitting). A daily schedule is followed, and daily activities include Bible stories, arts and crafts, literature, music, and games. Recognition of the alphabet letters, numbers 1-10, counting, beginning writing and cutting skills are all a part of the 3K curriculum. The children go to computer class and music class once a week and also take part in organized PE classes. In 3K the children learn to listen and follow directions, and to share and play nicely with others. A special effort is made to give each little one the love and attention he or she needs. Parents will love the opportunities for class trips and special events in the classroom like the Mornings with Mom and Donuts with Dads. Class parties throughout the year allow for much celebration with classmates along with parents. The 4K program at NFCS has been designed to provide a delightful learning experience as most four-year-olds are now ready for a combination of appropriate learning strategies along with a day of fun with the loving care provided by our teachers. 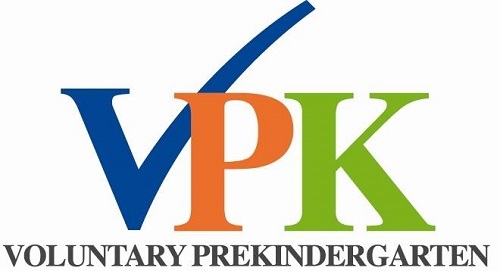 Parents have the choice of either the VPK half-day program which concludes at 11:15 or may select our Extended Care which includes the lunch time, nap time, and special activities until 3:30. The After School Care program provides more activities and loving care for moms and dads who need our loving care until 6:00. The 4K curriculum includes Bible stories, language arts, numbers, handwriting, science and social studies activities, music, art, computer, and PE. Each day begins with a special time in God’s Word. Children learn a Bible verse each week with an emphasis on understanding how the verse applies to their own young lives. Exciting Bible stories about creation, Old Testament Bible heroes, and stories about Jesus life here on earth are taught during the year. Our preschoolers enjoy chapel each week where they learn worship songs and enjoy Bible lessons that teach them that they are a unique and precious creation of God. Language arts includes activities in children’s literature and poetry, beginning phonics, and handwriting. Many four year old children are ready to begin reading. By the end of the school year many of our 4K children are reading one and two vowel words. Numbers skills are learned through fun games and “hands-on” activities. 4K children learn to count 1-100 by ones, fives, and tens. They also learn to recognize numbers and sets 1-20, count and sort objects, recognize shapes, and do simple addition. Science and Social Studies activities help the children to discover the world and people around them. They learn that God has a plan for His world as they explore plants, animals, the weather, and seasons. Music is a vital part of a child’s life. Our 4K classes enjoy music class each week where they learn fun songs and how to recognize the steady beat. The early years are a prime time for children to discover their own creative abilities. Arts and craft opportunities are planned for fun and creative expression. Our students enjoy going to the Elementary Computer Lab once a week for “hands-on” computer time. The children are introduced to the world of technology through playing games and formal instruction.